There’s a lot of money to be made in the South African hospitality sector if you know where to go looking for it! Careers in hospitality range from executive chef to hotel manager and loads in between. If you’re keen on making the world a better place (and your wallet a happier space), these jobs might be right up your alley! Just think about it: According to the latest available figures from Stats SA, almost 700,000 people were employed in SA’s tourism sector in 2016, compared to just more than 500,000 in 2006, and President Cyril Ramaphosa has committed to seeing the figure of 700,000 doubled. Using data analysed from over 140,000 online job postings, Adzuna made a list of some of the highest paying jobs in the South African hospitality sector. Your job: As an event manager, you’ll be planning events like conventions, conferences and even weddings. It’ll be your task to handle every last detail, from booking the venues to planning the menu and sticking to the budget for the event. Job requirements: Event managers need matric and preferably a bachelor’s degree in the field. Some experience working in the world of events is a major plus, and in some cases, a requirement. Your job: Executive chefs can be employed in various areas like hotel kitchens, casinos, cruise ships, restaurants, and other facilities that serve food. It’ll be your job to oversee all kitchen staff, ensuring that the quality of food is consistently amazing, ordering supplies, and creating menus that’ll ensure repeat customers. Job requirements: You probably don’t need a formal education, although a culinary degree can help you land your dream job or get your foot in the door. You definitely do need previous experience in the kitchen before you’ll even be considered for this prestigious role. Your role: Just like the executive chef, a food and beverage manager can be employed within a variety of environments. Perhaps it’s a sporting venue or a casino; you might even work for an airport. Wherever you’re employed, you’ll be managing product cost and inventory. You’ll also be working closely with other department managers to hire and train the right staff for your team. Job requirements: To land this role, you’ll need a degree in hospitality management or business management. Your role: Restaurant general managers have supervisory roles that vary from one day to the next. They might be responsible for anything from food-handling procedures and operational processes in the restaurant to hiring and training new staff. Job requirements: Although no formal education is required, you do need prior restaurant experience. Your role: If you work as a hotel manager, you’ll be ensuring guest satisfaction all the way. You’ll be in charge of ensuring operations run smoothly and that the business is generally profitable. 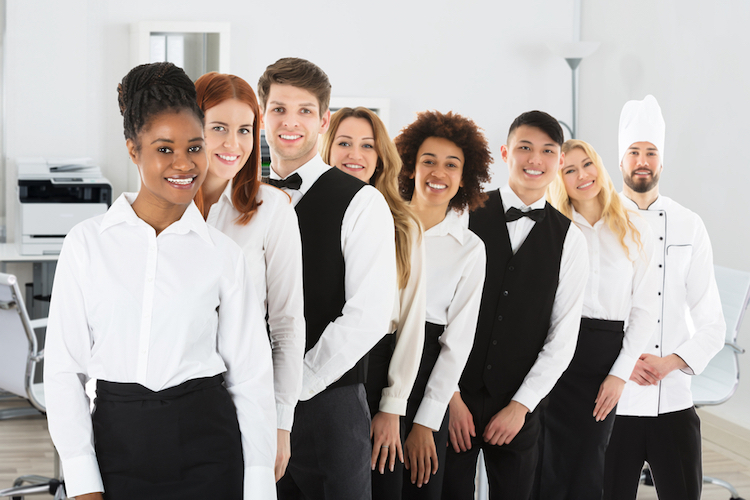 Typical roles include checking guests in and out, managing dining areas, and training staff. Job requirements: To be a hotel manager, you’ll need a bachelor’s degree in hospitality and some experience in hotel management. There is some serious cash to be made in the South African hospitality sector. Why not start browsing Adzuna’s listings today. We’ve got all the jobs in one place, making it that much easier for you to find and apply for your dream job!